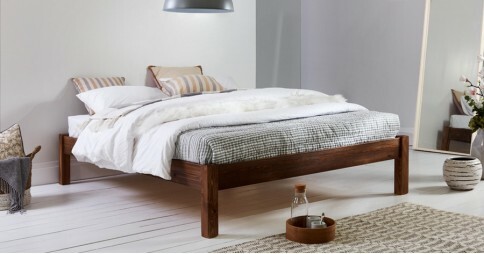 Platform beds are some of the newest additions to our wide range of handmade wooden bed frames. While this collection may be small, it’s fitting for what it contains. 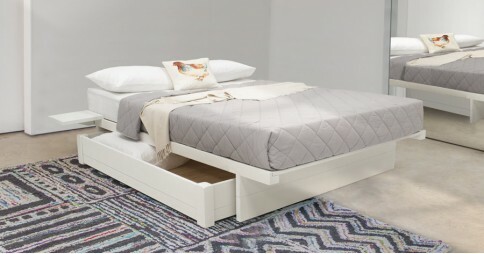 Our platform beds are designed primarily to help you save space and make the most of your home. The design of our platform beds is not only centred around helping you but was also built to consider every possible situation it may feasibly be in. 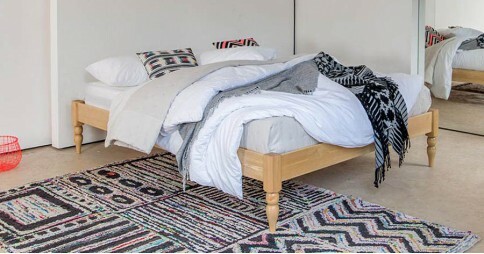 Well suited to any bedroom décor, it’s a modern solution to your floor-space problems. 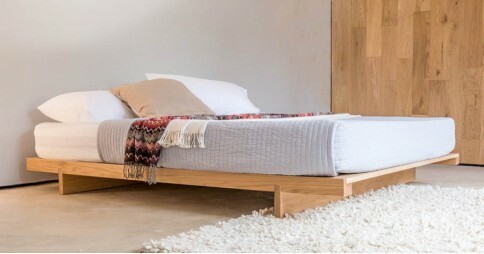 Each design in our selection of platform beds is inspired by a different purpose, including several unique designs which provide the same level of functionality as the rest, only with a little added. We’re proud of our long standing heritage in British carpentry and make a point of hand making each and every one of our wooden bed frames. Our range of platform beds is no exception to that tradition, with every frame lovingly handcrafted here at our workshop in Leicester, the heart of rural England. As all of our wooden bed frames are handmade, it’s obvious that we offer a bespoke customisation service. We provide you with the opportunity to change and alter your bed in any way you desire. If you’ve got specific requirements, we will create a unique bed to suit your needs perfectly. Our alteration service doesn’t stop at just our handmade wooden bed frames, it also includes our entire range of of bedding and mattresses. Our bespoke customisation services starts at as little as £55. 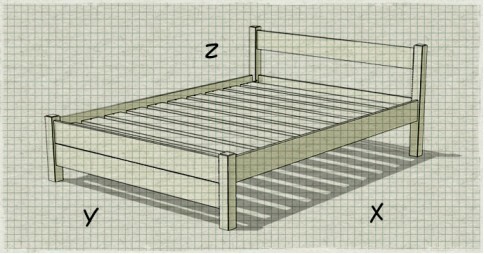 There’s more to be seen with our wooden platform beds, as with all of our other collections of handmade bed frames. No matter what size the range, there’s a few final finishing touches that we have to offer. We have a large selection of 10 smooth satin stains that can be applied to any bed frame from our entire catalogue of options. A few customer favourites are the soothing white, sleek black and modern grey finishes, among others. However, if you’re looking for an added element of finesse, we recommend choosing one of the sublime options available from our selection of solid hardwoods. 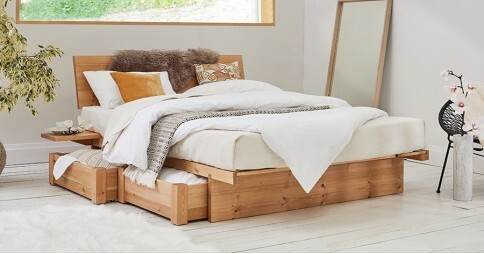 Our handmade wooden beds are usually expertly constructed from solid Scandinavian Pine but that’s not for everyone. We recommend taking a look at our dark, stylish Walnut and refreshing, natural Oak options, a couple of our popular customer choices. 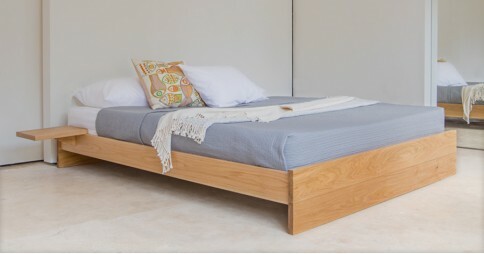 Regardless of whether your bed is constructed from solid Scandinavian Pine or one of our solid hardwoods, we believe strongly in reducing our carbon footprint and always make the utmost effort to ensure our timber is sourced sustainably from FSC and PEFC approved forests. We take pride in our beds, as such our aim is to provide our customers with the highest standard of service at every step of the process, from carefully handcrafting your wooden bed to when it’s delivered to your door. 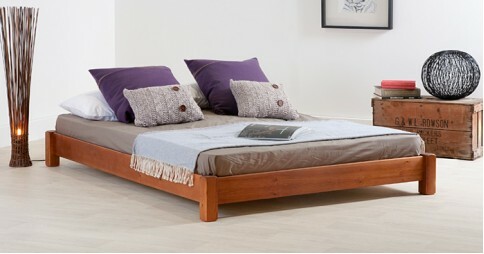 If you have any questions, or would like to order one of our platform beds, please give us a call on 0207 183 5464.